Jody Rushton was elected president of the National Federation of Republican Women (NFRW) at the 39th Biennial Convention in Philadelphia and took office in January 2018. Previously, she served on the NFRW Executive Committee as member-at-large and director of Region 6. Jody is from Plano, Texas, where she has served as president of Conner Harrington Republican Women’s Club for two years. 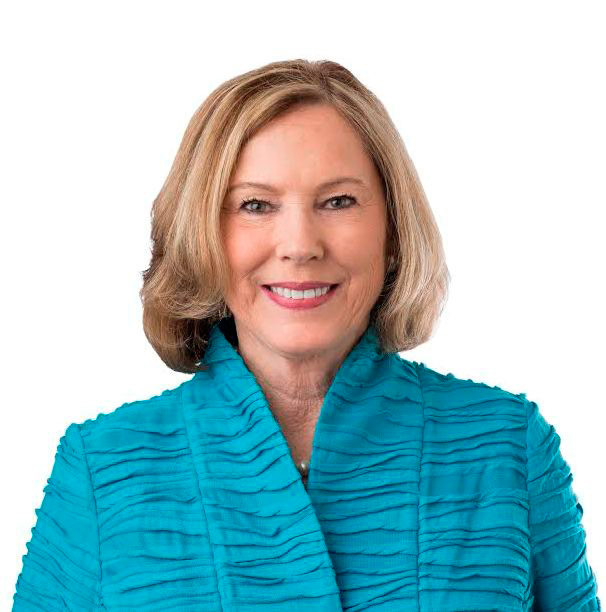 She served as president of the Texas Federation of Republican Women in 2013-2015. Jody continues to serve on the Republican Party of Texas Candidate Resource Committee, raising funds for Republican candidates throughout Texas. Jody has been politically active since her first NFRW convention in 1983 in Louisville, Kentucky. In 1984, she served as the western states coordinator for the 1984 Reagan/Bush presidential campaign based in Spokane, Washington. As Texas Federation of Republican Women vice president-finance, Jody chaired the Tribute to Women Event in Fort Worth in 2012 and the Belles & Boots Ball 2013 in Austin. She continues to serve as a Collin County precinct chair and as a member of the Collin County Executive Board. She also was elected as a Delegate to the 2012 Republican National Convention in Tampa, and the 2016 National Convention in Cleveland. In 2015, Jody was elected to chair the NFRW Nominating Committee. The Republican Party of Texas recently awarded Jody the first Susan B. Anthony Leadership Award for her work building Rising Stars among Texas Republican women. She was also awarded the Collin County Republican Party's John McVeigh Award in 2015 for outstanding service and dedication to the Republican Party. Jody was born in McAllen, Texas, and lived in the Rio Grande Valley until continuing her political science studies at the University of Wyoming. Jody and her husband, Ron, have lived in Plano for the last 20 years and have three children and seven grandchildren. Founded in 1938, the National Federation of Republican Women is the largest and most influential Republican women’s group in the nation, proudly representing the party that first made it possible for women to vote in the U.S. The NFRW works to increase the effectiveness and relevance of women in the cause of good government. Our mission remains to recruit and elect Republican candidates, promote the principles of the Republican Party, educate the public, and inform the media.